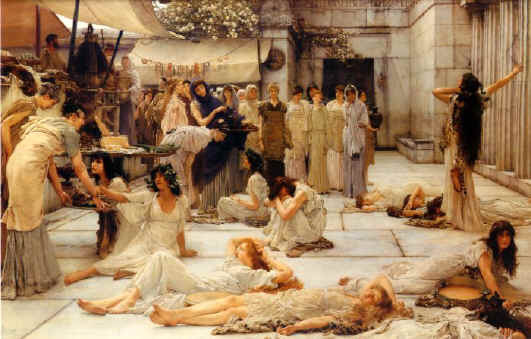 I find the work of Alma-Tadema an absolute joy. The detail is no less than utterly stunning, you feel you can reach in and touch the linens, the silks and the marble. The representations here can do no justice to the published works at all. Seek them out - it will be well worth your time.